The founder of the site. Torjus has been doing traditional crafts and fishing all his life and lived outside in a lavvo for most of the time during 2 and a half years. He is currently resolving some money and equipment issues, but is still equally passionate about the old skills. He is a generalist, mostly focusing on traditional fishing, hunting and stone tool technology. Forest gardening is also a keen interest to him and is something he is currently testing out. Residence is Norway. His focus is now less on hunting and gathering now and more on sustainable ways of living in general, whatever that includes. Currently he has a job in the oil business where he works 2 weeks on and has 3 weeks off. Because of the broadening focus, you can expect more frequent posting now. Thomas grew up in Germany and has been living in various places (wild and not so wild) and communities in Europe and the US for the past ten years or so. During his time at the Teaching Drum Outdoor School he was further inspired to pursue a simple lifestyle close to nature. 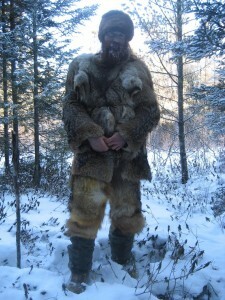 He is particularly interested in crafts and skills that are central to a subsistence lifestyle, such as working with furs and skins, gathering plant foods and materials, trapping and fishing. He also places a strong emphasis on “re-wilding” – shedding the layers of conditioning that modern society imprinted on us so we can re-become our natural selves. He currently resides at Teaching Drum Outdoor School in Wisconsin, USA. Thomas disappeared in Alaska in 2012 and is most likely dead. May he rest in peace. what an inspiring site!!! I am not even halfway reading all your topics and blogs and am allready incredibly inspired and enthousiastic. I want to do what you describe, want to go somewhere in nature and live there for longer times. I strongly feel like being in nature, conencting with nature. Second I strongly feel I like to ‘re-learn’ skills I learned in my youth at scouting to survive basically on and with nature, apart and seperated from 21st century modern life, without fossile fuels, electiricity and all the mechanics that seem so normal in life these days. Last but not least, I think that due to changes in environment and global warming fossile fuels are ending at soem point and we all (at least I) wnat to train myself in living from what nature brings and be independent from ‘modern life luxuries’. I have no idea where there would be room to do this, train this and live safely. Looking at your blogs and pictures it seems you do have such a place somewhere and therefor I’d like to inquire where that is and how to make that possible. I sincerely hope you are willing to help me out here! I think that is possible to a degree pretty much throughout Scandinavia, parts of Canada and most of Siberia. Hi Torjus. I saw the your site on my website statistics, and that is how I found this. Thanks for the link, and best wishes on your blog. I will check your postings ocasionally. Nice to see some pictures from Lofotr. How are you, did you allready hunt some Ren and Elk? Thanks for your words all. I’m fine thanks, going to spend a lot of time in the woods next year. Getting a reindeer license next year, so then I’ll hunt. How are you? Where has the journey taken you? Where are you going now? Yeah, snow here too, it’s great. You should seriously write a book. I am still in school and i am interested in living in the wild. I would love to go and do it some day when i get the time maybe this summer. I dunno. I am gonna read all of your categories on hear so i can do all of this stuff this summer. We are producing an A_Z of Bushcraft video series here in the UK for free distribution and wondered if you could review it or link from your blog. We aim to finish the series in April 2008 but you can watch 15 episodes to date and more to come. I have given you the RSS link here. I was referred to you by Robert Retallick of braintanned.com – who sends you his regards. I am looking for a nicely tanned, full hair-on, large, deer hide for use as a cabin decoration. Robert can do something like this, but asked me to check with you – as it is a little tricker to keep the hair-on. Could you be of help in getting me such a hide? With the recent emergence of the photographs of uncontacted tribes in the Amazon, indigenous isolated tribes have been all over the news. What does the term “uncontacted” actually mean? What strategies are there to protect these people from developers? Answers to your all your burning questions as well as a photo gallery documenting the discovery of these tribes in recent history can all be found on nationalgeographic.com. Take a journey into this unknown world and learn more about these primitive tribes living in remote parts of the world! I’ve been reading your website on and off for over a year now, and its impressive and inspiring to see the progress you are making. I am interested in the possibility of doing something similar and wondered if it might be possible to visit you up in Sweden and see what the reality of living your way is. I was thinking perhaps sometime in the late summer/autumn. Whenever’s best for you, actually. I don’t want to get in the way. There is another issue I would like to discuss with you too, but I would rather do thet via email. do you hunt for food or stock up canned food/water? how do u cook& avoid detection? how do u avoid coincidental visits by humans and preying animals? if the river and environment is contaminated does it mean checkmate for you? how do you cope with solidarity? how do you cope with infections, insect bites, injuries..? Read your reply in Paleoplanet on a guy who collected cedar bark for cordage and quiver. There you mentioned in the past you did build a bark canoe yourself. Would it be posible ,if you have, to send me some photographs or article if exist of your canoe buildin proces. to put you amongst these, once again if this is not a problem for you. It seems we have similar interests Torjus, I am passionate about 18th century settlement and survival in the New World. I follow this through my love of 18th century Living History and Historical Trekking. Like you I am very good at most skills but my forte is primitive fire lighting. We would make a good team you and I. If you ever come to Australia let me know. From your experience, do you think it can be done by a family with small kids? Great site and its makers indeed! Hei. Jeg er 32 år og bor i Oslo. Tro det eller ei, men jeg har faktisk samme mål som deg, å overleve i villmarken i en lengre tidsperiode uten noe som helst medbrakt fra det moderne samfunnet(unntatt klærne jeg dro i). Jeg ble svært sent interessert i primitive living(30 år gammel) og har derfor ikke nådd noe høyt nivå. Men jeg lager shelter, kan friction fire, lager nesletau og vet litt hvilke planter man kan spise. Jeg har ofte tenkt at jeg må være den eneste i Norge som har som mål å overleve ute i villmarken og mange har ledd eller ristet på hodet når jeg har fortalt om det. Det er blitt til at jeg unngår å si det til folk. Jeg dro på kurs i Skottland til Patrick et eller annet for backwood survival som jeg har forstått at du kjenner. Om du skulle føle for å ha en kamerat å ha med deg i villmarken så blir jeg gjerne med når jeg har tid. Jeg er villig til å lære mye mer og er ellers en hyggelig å grei fyr å ha med å gjøre. Jeg vil selvfølgelig la deg ta viktige avgjørelser siden du kan mest. Hallo. Kommende sommer, 15. til 18. juli arrangeres KYSTENs landsstevne i Gratangen. Tema vi har valgt er samisk båtbyggertradisjon og selfangshistorie. Det skal bygges en naustgamme og kanskje får vi en skinnbåt fra Tana til utstilling. Men vi har lyst til å bygge en curroch. Den som er bygget til Lofotr får vi låne til utstilling. Vil du ha mulighet for å påta deg oppgaven? Til hvilke pris? Really nice website. Keep doing in this way & good luck! Jeg kan vel ikke mer enn de fleste om overlevelse i villmarken, men det er et emne som interesserer meg. Jeg er også veldig interessert i gammelt håndverk. Siden jeg ikke kan bruke naturen til å dra på tur særlig mye, bruker jeg materialer jeg sanker inn selv til å lage ting. Derfor håper jeg at dere kan gi meg noen tips på ting man kan lage, og jeg vil gjerne få vite mer om å lage ting av neslefiber, siden jeg har masser av dem i nærheten. “Looking at your blogs and pictures it seems you do have such a place somewhere and therefor I’d like to inquire where that is and how to make that possible. How about here in Australia Marc, plenty of room. Wow, I came across your site today and was instantly attached. I think I was 15 when I brain tanned my first deer hide (with my own made tools), made my own tipi and dress/outfit out of buckskin (including a turtle shell purse). I have dreamed forever of being able to do what you are doing. I never got married til I was 28, one year ago, when I found the man who will hopefully do this with me. I somehow naturally have this desire in my blood. My family thinks I’m crazy. Over the years some debt has piled up and it will be a little while before we can actully get close to living the earthway together but you inspired me to keep dreaming of that day. I am from Pennsylvania, USA and currently am working in bush Alaska where I hope to gather a lot more info and skills from the natives here. It doesn’t get cold enough to wear all the fur articles I have made but 2 days ago I was so excited. It was -40 degrees F and I had to walk 2 miles to the village store. I didn’t get cold at all! FUR IS MY FAVORITE THING!! Anywho, I just wanted to let you know that you inspired me to keep working toward my dream. Thank You! Hi Torjus Gaaren…wow…I find your blog most inspiring and your courage to do what you believe in most admirable. I have bookmarked your site and will definitely come back to check often. I wish you all the best and keep up the good work! Awesome blog!!! I’m adding you to my blogroll. Love what you do. I often bemoan the fact that the skills of previous generations have not been passed down to present generation. It’s getting harder and harder to live the hunter gatherer lifestyle, it’s a darn shame. I’ll be following your blog with interest. We are recieving until april 2011 international groups of volunteers who are spending 3 weeks learning in Kierikki Museum stone age handicraft, ancient fishing and collect of wild plants…Performing an alive reconstitution of stone age daily life in the forest. I really dig your blog and I was wondering if you accept guest posts. I’ve done archery for SCA for years, and I appreciate the significance of making something for yourself from just the materials people had hundreds of years ago. I would like to write a piece for you guys about the natural way to make a bow and arrows. If you are interested in pursuing this opportunity, please email me back and I can start working on an article immediately. wow, is all i can say. i have been dreaming of this for a while. even more so since i have been living in the city, its so great to know that there are people who actuelly put their foot down and go out and live like man was made. you are very inspiring, i hope that one day, when i become a legal adult that i can live this way. I was wondering if you accept people to come and live like this. It’s my goal to find a group of people who live off the land and live with them. 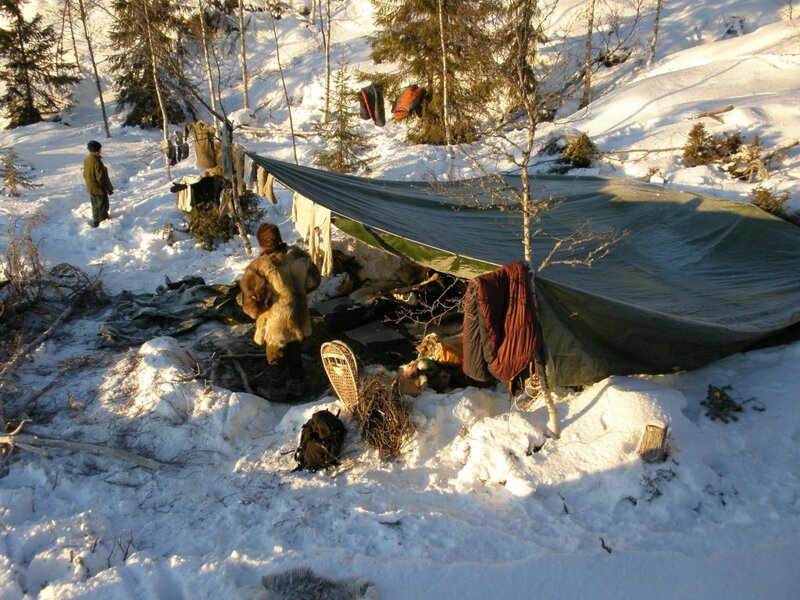 It’s hard to find these groups for the internet doesn’t really go with wilderness survival. If you have any info on where I can make my dream a reality please email me. Hello. This is a fantastic blog; it makes me extremely happy to see all of these like-minded people who understand our harmonious roots. I’m young, however – and have school to deal with first – but my dream is to cut myself off from the curse of modern society/civilisation and live with people like yourselves, remotely and joyously. Scandinavia is exactly the place I was thinking of, having read a book series called ‘Chronicles of Ancient Darkness’ by Michelle Paver, which greatly describes the landscape of the place. I recognise that I won’t be able to do this immediately, and it will take planning and training, but this is one of my aims. I’m a researcher for a new National Geographic TV series which will shoot soon in Alaska. We’re looking for experienced outdoors men and women capable of surviving a 2000 mile trek across the state. An intense nationwide search is underway to find Alaska’s toughest outdoorsmen/women who will attempt to survive an expedition of epic proportions in a brand new series for The National Geographic Channel. This groundbreaking new docu-series will explore the heart of the Alaskan frontier. Teams will navigate some of the most hostile terrain on the planet, relying on survival skills, mental acuity, and ingenuity under pressure. These men and women will be pushed to the limits, faced with real-life situations that require physical prowess and split second decision making capabilities if they are to survive. Casting directors at Metal Flowers Media are seeking men and women between the ages of 18 – 58 with legitimate survival skills in mountain climbing, hunting/fishing, big game hunting, berries/plant identification, whitewater rafting, guiding, piloting, and general survival/backwoods experience. 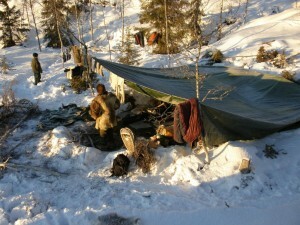 Candidates should currently live in Alaska and have what it takes to survive in this very real environment. To apply or for more information, please visit http://www.metalflowersmedia.com or email Janelle@metalflowersmedia.com with your name, age, photo and contact information. This is the chance of a lifetime for the right individual. This is the first time I have visited this website but I already love it and I also have a story I feel I might share..
My name is Ralph, I’m 32 years old and I’m from the Netherlands. 2 years ago I decided to head out and live in the wilderness. It was carefuly planned and I decided to head out on the 25th of May 2013 so I would have at least 2 years to learn some basic wilderness living skills and I did just that. So at the moment I still have a few months to spare in modern society and then I’ll get my backpack, get on my bike and cycle/hike/hitchhike east towards the dense Russian forests and go nomadic from there. It has become more then just something I want to do, It is now something I must do. Nature calls.. I want to see what it’s like to live like my ancestors used to live. To see what it’s like without all the materialistic rubbish that urban living shoves down my throat. We all came from nature, from hence we came we must return. Since last November I’m keeping a blog on all my plans and preperations.. http://thedutchhermit.blogspot.nl/ It might be worth a peek. I am currently in the mountains of New Mexico, US. and am in the process of buying land here. Very remote old west county. My entire life, I have had, not the desire, but the need to be back with nature, and have spent many years sad, that I am forced to live in society, and surrounded by technology, that I could really care less about. I have spent the past 3 years, doing major research, on just how to get back to nature, with just the very basic necessities, of things needed to survive. Food, shelter, and warmth. I even came across places that required you to be hooked to the grid, even if you didn’t use it! But I think more that I am running TOWARD something… towards the very ROOTS of humanity, and nature.